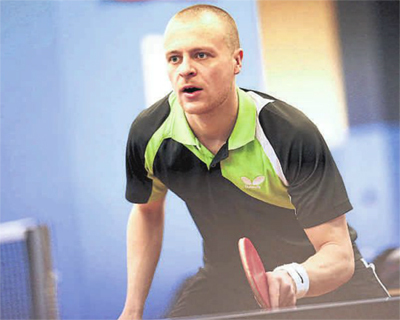 Garry Dodd held his nerve to complete a perfect day's work and make history at the Channel Island Top 12 showdown at the Guernsey Table Tennis Centre. Going into Saturday's event, where the top half-dozen from both Guernsey and Jersey were in action, Dodd had a 100 per cent winning record from the Guernsey round a fortnight earlier. And chasing a record-breaking sixth title - including another milestone of five in a row - the brilliant left bander kept that run going with six more wins in the space of three hours. Having claimed the silverware after edging a winner-takes-all showdown against Josh Band at the end of the day, the 24-year-old was delighted to add another trophy to his cabinet.